Azby's is a one-stop shop carrying stylish designer clothing, accessories, shoes, and more. For southern styles and the famous crawfish logo, be sure to check out Perlis. Family owned for over 70 years, Perlis carries classic, well-made clothing for the entire family. For the best of the best in jewelry, visit Mignon Faget, a native New Orleans artist and designer known for her stunning baubles. To read our post on Mignon Faget and her dedication to the city of New Orleans, click here. Fleurty Girl was developed by a local, single mom who put her heart and soul into turning her passion into a thriving business. Fleurty Girl sells fun, whimsical and stylish women’s apparel, accessories, shoes, gifts and home wear. Stop by famed menswear designer Billy Reid. Named Best New Designer in America in 2010, Billy Reid is an established designer with a keen eye for Southern fashion whose designs reflect his deep Louisiana roots. Note: he also designs women’s clothing and this store is a generous mixture of both. Susu Stall, owner of SOSUSU opened up this contemporary luxury boutique on Magazine Street in the hopes of helping women find unique, but classic pieces. To find exclusive upscale brands, visit SOSUS! Read our post on this stylish boutique, click here! If you like vintage shops, you will love Funky Monkey! This store is constantly bringing in new, hand selected pieces of clothing, costumes, jewelry and accessories from the 1920s - 1990s. While some vintage stores are just funky, and others are overprices, Funky Monkey is both reasonably prices and ultra cool. If you're looking for that perfect gift, stop by Hilltop Shoppe (3714 Magazine) is a real treasure. Hilltop Shoppe will have something for everyone on your list (yourself, included! If you are looking to find to find specialty items such as local art, custom made home furnishings, unique home décor, selected antiques and custom made jewelry from area artists, The Shops at 2011 is your one-stop shop. Shaya was named the country's Best New Restaurant at the 2016 James Beard Awards gala. Inspired by his Israeli roots, Chef Alon Shaya blends modern Middle Eastern, Turkish, North African and Greek flavors. To read more about Shaya, click here! Located in a quaint cottage that housed a grocery store in the 1800s, La Petite Grocery is an inviting Uptown bistro that offers contemporary Louisiana fare that includes to-die-for crab beignets. With a superb menu and vibrant bar scene (the cocktails alone are worth a visit). 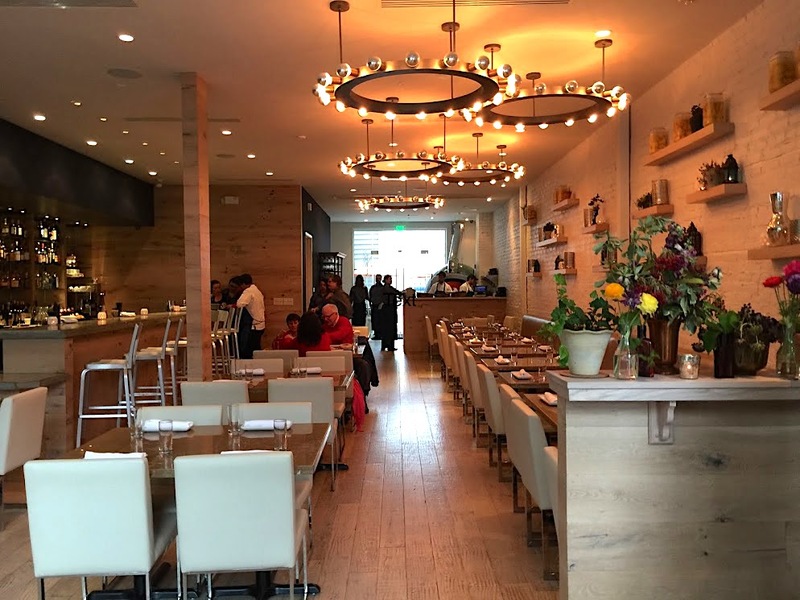 Lilette has become an uptown Standard. It is a neighborhood restaurant with a limited but specially crafted menu. The wine is great, and the atmosphere is very French New Orleans. Cavan is inside of a beautiful converted house, giving it a very homey atmosphere. Eat inside in the rustic, chic dining room or outside on the balcony or garden terrace. Many have hailed Avo as New Orleans’ best Italian restaurant. With everything from homemade pasta to filet mignon, you are sure to find something to suit your fancy. Dine in the dark wooden floor dining room, or the courtyard out back! The sister/rival to Shaya, SABA is actually a great restaurant to visit as a solo traveler as reservations are hard to come by, but solo travelers will likely be able to squeeze in at the bar or an outdoor table! To read more about SABA, and it’s connection to Shaya, read this post! Baru Bistro & Tapas is a “Latin Caribbean” restaurant specializing in traditional tapas, or small plates, which means you can try a variety of dishes without feeling overly full and without spending a lot of money! Dat Dog is known for their artfully crafted hot dogs and sausages. You can build your own dog from choices including everything from bratwurst to alligator sausage. The dogs are decadent, and the whimsical, colorful decor makes for a fun and inviting atmosphere. District Donuts﻿ offers specialty, handmade donuts as well as a variety of sandwiches, sliders and other dough-wrapped dishes. If you’re looking for a place to indulge, we highly recommend giving this place a try! Stein's Market and Deli, open for breakfast and lunch Tuesday-Sunday, offers a wide variety of traditional and specialty sandwiches using top-quality meats and cheeses. PIZZA Domenica, a spinoff of the award-winning Domenica Italian restaurant, serves authentic Italian-style Pizza baked in their specialty oven shipped directly from Italy. The atmosphere is comfortable and casual. Auction House Market is a trendy new food hall in the CBD. From the creators St. Roch’s Market in the Bywater, Auction House Market offers a plethora of food options to suit any palate. From coffee counters to seafood bars, Auction House has it all. Read our post about all the offerings here. Each of these restaurants work equally well for a business lunch, drinks with friends, romantic dinner date and or a table for one. With white and black checkered tile, Edison light bulbs, distressed mirrors, and antique furnishings, The Vintage Nola is one of the snappiest hangouts on Magazine Street. Coffee bar by day and wine bar by night, The Vintage is a great place to stop by anytime of day. Solo travelers can feel comfortable sipping a glass of wine at this relaxed and low-key little hole-in-the-wall. Bouligny Tavern was opened by the same people who own Lilette, the French-inspired Uptown restaurant listed above. Bouligny Tavern is actually located right next to Lilette, so you might actually be able to kill two birds with one stone with a visit to these two. Bouligny is located inside a classic uptown house and has a very cool, classic, vintage vibe! In addition, many of the restaurants listed above feature great wine and cocktails! Mojo Coffee House: this chilled-out coffee shop’s Magazine Street location is spacious and open. It’s the perfect place to grab a light lunch, a latte or a pour over. Mojo is open until 11pm, making it the perfect place for a late night pick-me-up. French Truck Coffee is all about fresh coffee. Coffee beans are roasted in small batches to ensure that you’re drinking true fresh roasted coffee. French Truck has two locations on Magazine Street: the one on 1200 Magazine is where the roasting happens, so the coffee bar is very small - this is ideal if you’re just passing by and want to pop in for a quick cup. If you’d like to sit and sip, try the location at 2917 Magazine. Everything at Cafe Luna is made in house, in the cutest ole house on Magazine Street. Open from 7-7 every day, with brunch offered from 8-2, is a great spot to hang out and drink some coffee, grab some brunch, or get some work done. Choose a sunny spot on the front porch, on the couch in the living room, or hidden amongst the funky artwork and shelves of boardgames of book and boardgames in the back. PJ’s Coffee is an iconic New Orleans brand established in 1978 that has since franchised and branched out across the country, but has stayed true to its roots. The Magazine Street location rests inside an old multi-leveled house with an intimate courtyard out back. Continuing upriver, Magazine Street will lead you directly into the stunning Audubon Park, where you can take in the natural beauty of South Louisiana amongst the park's storied live oak trees. Across the street from the park is the Audubon Zoo, beautiful, well-maintained zoo accredited by the Association of Zoos and Aquariums. Open this Mini Guide to New Orleans’ Magazine Street for a map of some of our favorite places, and scroll through the posts below for more ideas on things to do in NOLA!